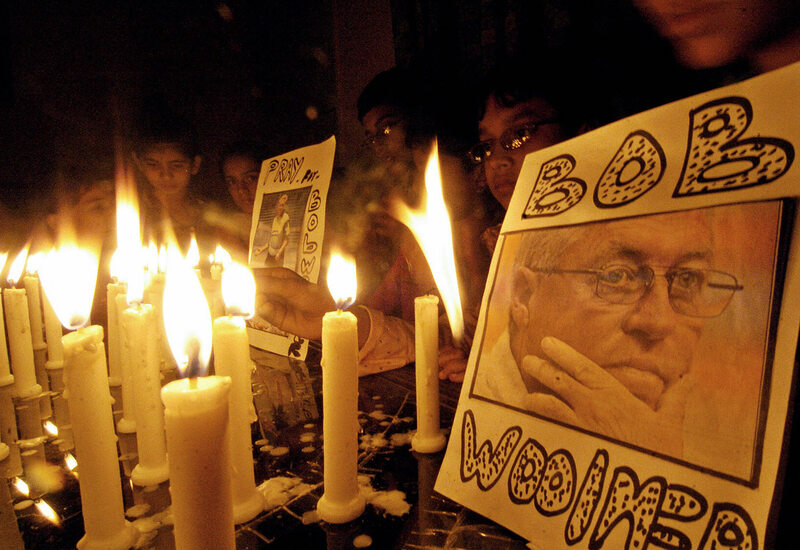 On the occasion of Bob Woolmer's tenth death anniversary in March, the Cricket Monthly published a feature on his legacy to the global game. 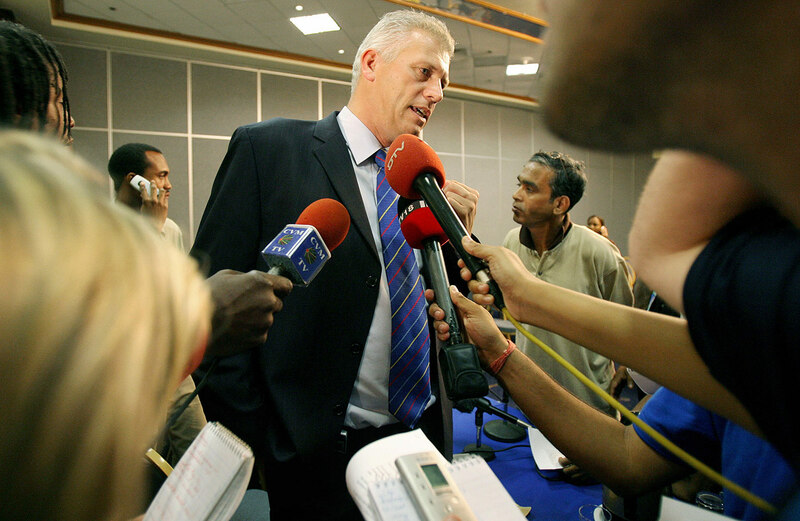 This month, the ICC communications manager at the time of Woolmer's death draws on fresh interviews and evidence never before reported to reconstruct a story that shook the cricket world. When the 47-year-old hotel chambermaid Bernice Robinson left her home in a suburb of Kingston, Jamaica, at dawn on March 18, 2007, it was a work day like any other. 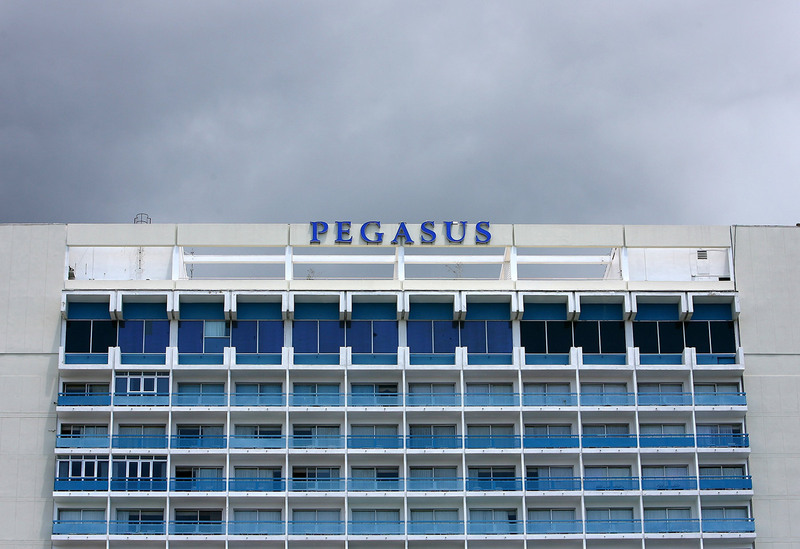 Passing through the quiet city streets early that Sunday morning, she arrived at the Jamaica Pegasus Hotel in the business district of that vibrant and troubled city shortly before 7am for a shift she would never forget. Three-seventy-four was an unremarkable room on the 12th floor of the equally forgettable, tired but comfortable four-star hotel, host to four teams participating in the first cricket World Cup staged in the Caribbean. At about 9.30am, Robinson knocked on the door to room 374. No response. Knocked again. Nothing. And a third time. When she still received no answer, she opened the door with the key card that had been assigned to her that morning and went inside. She heard a low noise through the darkness, figured that the occupant was still asleep and decided to leave him to his snoring. She cleaned three other rooms before returning to knock on 374's door at about 10.50am. Again she received no answer. This time when she opened the door she noticed a chink of bright sunlight through the curtains ahead of her and could see that the slept-in king-size bed to her left was empty. She ventured further inside and looked around the room. There was what looked like blood on a pillow at the head of the bed, a chair was overturned and a putrid smell of vomit filled the still air. Concerned, she went to see if there was anyone in the bathroom located just by the door on the left. She knocked. No answer. She tried to open the door but something was wedging it shut. She pushed harder and saw a foot - a man's body lay on the floor, preventing the door from opening. "Sir, sir, is everything okay?" she shouted at the man. Yet again there was no response from the occupant of room 374. The smell of vomit mixed with alcohol was intense and through the gap in the door she could see blood on the floor. She panicked and hurried off to raise the alarm. The man in the bathroom was Bob Woolmer, coach to the Pakistan cricket team, former professional cricketer for Kent and England, father, husband and much respected stalwart of the cricketing world. Despite the best efforts of Dr Asher Cooper and Novellette Robinson RN, who tended to Woolmer at the scene, he could not be revived. He was pronounced dead at Kingston University Hospital at 12.14pm by Dr Cooper and Dr Simone French, a member of the medical and health committee for the 2007 World Cup. In all likelihood, according to Dr Cooper, he had passed away at the scene. So, what chain of events led to one of the world's best and highest-profile cricket coaches lying dead in a Jamaican hotel bathroom during the sport's biggest event? While the cricketing world grappled with that question, they were soon to be hit with another bombshell. On March 22, the Jamaican Constabulary Force (JCF) announced to a room full of stunned sports journalists that the cause of death was "asphyxia as a result of manual strangulation". The Jamaican Constabulary Force announced to a room full of stunned sports journalists that the cause of death was "asphyxia as a result of manual strangulation"
A murder investigation was underway. Not that this was an unusual event in itself. Not in Kingston anyway. When Jamaica gained independence in 1962, the murder rate was fewer than four per 100,000 inhabitants. By 2005, that had risen 1450% to 58 per 100,000, with no fewer than 1674 people having been murdered that year. In a country of just 2.7 million, this gave Jamaica the highest murder rate in the world at the time. Rarely a day went by without the details of another gruesome murder making it into the pages of the Gleaneror the Jamaica Observer. But with the eyes of the world - at least those of cricket fans - fixed on the region, the death of this high-profile foreign visitor was much more than a crime statistic. It was enormously embarrassing for the authorities, who had hoped the World Cup would show off the region as an idyllic holiday destination. The tournament's arrival in the Caribbean was soon overshadowed by the events that took place inside and, more to the point, outside room 374. The day before Woolmer's body was found had been another seismic one, but for entirely cricketing reasons. A team of determined amateurs representing Ireland had taken on and beaten the former champions, Pakistan. The fact that it was St Patrick's Day was not wasted in the build-up, and there were prayers said in advance to Ireland's patron saint, the man believed to have brought Christianity to the Emerald Isle. Indeed, there are those who attribute some kind of divine intervention to the "miracle" that took place that day at Sabina Park. But the secret to Ireland's victory was far more prosaic, although equally green. In his book Raiders of the Caribbean, the Ireland captain Trent Johnston would write: "The pitch was not a typical Caribbean one, as it was green and looked more like an English-style surface in late April… We could tell that Pakistan were not happy with the conditions as on a green seaming pitch the gap between the teams would inevitably close." The playing surface certainly resembled something prepared by small cricket clubs in Dublin, Belfast and Derry rather than by a curator in the West Indies. Winning the toss, Ireland chose to field and their bowlers used the lateral movement and sluggish pace to lure Pakistan's batsman into false shots and reduce them to 132 all out. In response, a masterful 72 from Niall O'Brien took the Irish close to the finish. When Johnston hit a massive six over long-on to seal the deal, Ireland's joy was unconfined. The late and legendary Irish journalist Con Houlihan called it the biggest sporting sensation since North Korea beat Italy in the football World Cup of 1966. The fans cheered Ireland's victory long into the night, the team joined their friends, family and other supporters at an Ocho Rios resort for a celebration worthy of the occasion. It was the first time Ireland had ever appeared at the tournament and, against all the odds, were about to take their place with the big boys in the last eight. Feeling a little depressed currently as you might imagine. I am not sure which is worse being knocked out in the semi-final at Edgbaston [in 1999, when he was coach of South Africa] or now in the first round. At least we will not have to go to Guyana! Our batting performance was abysmal and my worst fears were realised. I could tell the players were for some reason not able to fire themselves up we just threw away our wickets all the time. I give credit to the Irish and we did fight hard in the field but what a horrible feeling. I don't know when I will be back but I would quite like to come home and see Dale and Pippa etc. So I am going to speak to the chairman tomorrow and see what he has to say. I hope your day was better but I doubt it as you were probably watching! Not much more to add, I'm afraid, but I still love you lots, B." As the foggy-headed Irish in Jamaica woke that Sunday morning, they did so to the sobering news that Woolmer was in hospital and that the prognosis was bleak. Woolmer was well known and respected in Irish cricket circles from his days as high-performance manager at the ICC, where he helped make weaker teams more competitive at the highest level. Therefore, it was in part Woolmer's own hard work improving the standard of cricket in Ireland that led to his current team's exit from the World Cup, an irony that was not lost on him. He had mentioned the fact with a wry smile during the tense post-match press conference the night before. Word of Woolmer's death spread rapidly. Tributes poured in and shock was expressed from every corner of the cricketing world, especially in his native England and in his adopted home of South Africa. As the days went on, rumours of foul play started to make it on the pages of newspapers from Mumbai to Manchester to Melbourne, as polite enquiry gave way to wild speculation. The decision by the JCF to classify Woolmer's death as murder was based almost entirely on the work of Jamaica's state pathologist, Dr Ere Seshaiah, a man who was to become a central figure in the controversial investigation. Originally from the Andhra Pradesh town of Chittoor in southern India, Seshaiah came to Jamaica in December 1995 having completed a three-year medical degree and several years working in a hospital morgue. According to his own testimony at the inquest later in 2007, Seshaiah had no specific qualifications in forensic pathology and no formal training beyond his basic MD. He was not a member of any internationally recognised medical institute nor was he a fellow of a university, college or teaching hospital. There is no evidence that he had so much as a single paper published in the area of pathology or forensic science, let alone a substantial body of research of the sort normally associated with the career of a nation's chief pathologist. Later, based on toxicology reports from a laboratory in Barbados, Seshaiah amended his report to state that Woolmer was first poisoned with a substance called cypermethrin and then, in his resultant weakened state, strangled. But from the very start of the process, not everyone agreed. Jeff Rees, then head of the ICC's anti-corruption and security unit, and formerly a detective chief superintendent at Scotland Yard, publicly accepted the police's decision to open a murder enquiry but repeatedly said in private: "Something's not right. I'm not convinced this is murder." Behind closed doors he strenuously advised the lead investigator, JCF's deputy commissioner Mark Shields, to exercise caution before announcing the case as one of murder. But Shields was not for turning. Shields was already something of a minor celebrity in Jamaica at the time. In 2005, he was sent on secondment from London's Metropolitan Police Service, where he had built up a reputation for expertise in the area of gang crime. Shields, 48 at the time, had some success in cleaning up the JCF and applying best practice in what had been a disorganised and allegedly corrupt force. Six feet six inches, silver-haired and debonair, he was often pictured enjoying society occasions with the great and good of Kingston, rarely refusing an interview when asked. The previous year he had even been named among the country's "30 most eligible men" by the Gleaner. When the Woolmer case broke, Shields was front and centre, appearing to relish the limelight associated with being the senior officer on the high-profile investigation. The media-shy Rees, someone who was naturally suspicious of journalists when he led some of Britain's most notorious criminal investigations, cringed when he saw the amount of time Shields was spending behind reporters' microphones or in front of their cameras. For old-school coppers like Rees, talking to reporters is like sleeping with your neighbour's spouse. It might feel good at the time but in the back of your mind you know there will be a price to pay. And all the time, Rees was saying: "I'm not convinced this is murder." Having hastily jumped to the conclusion of murder, Shields himself began to have reservations as the investigation developed in subsequent weeks. 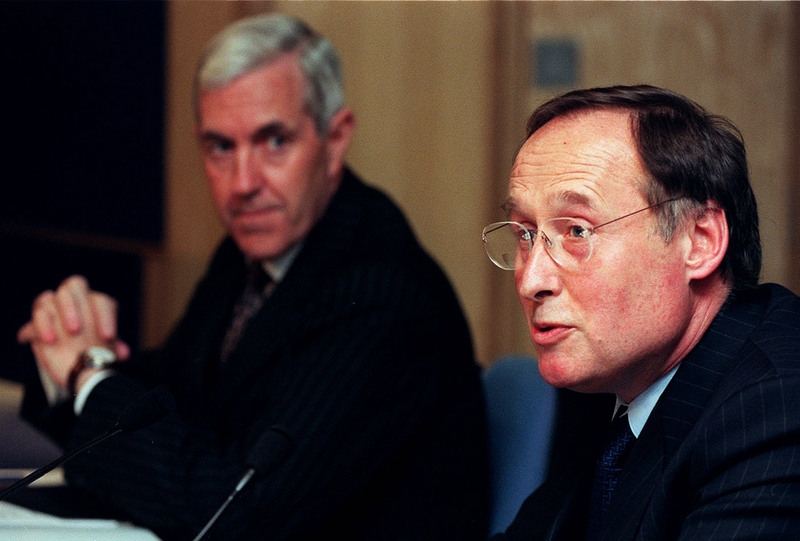 He called in three experts in the area of pathology and medical jurisprudence to review the case: Dr Nathaniel Cary, forensic pathologist for the British Home Office, and at the time the chairman of the Royal College of Pathologists; Professor Lorna Martin, chief specialist at the Division of Forensic Medicine and Toxicology at the University of Cape Town; and Dr Michael Pollanen, chief forensic pathologist of Canada's Ontario province and the president of the International Association of Forensic Sciences. As it happened, all disagreed with Seshaiah's findings. Worryingly, they revealed a number of basic mistakes made by Jamaica's chief pathologist. Firstly, an X-ray ordered by Shields revealed that the hyoid bone had been intact all along, making manual strangulation highly unlikely. Secondly, an error-strewn dissection of Woolmer's neck meant that it was probable Seshaiah himself caused the very bleeding - post-mortem - that he would later claim was bruising consistent with strangulation. And thirdly, the cypermethrin supposedly found in a sample sent to the Barbados lab was not present in an otherwise identical sample sent to a forensic lab in London, leading to the conclusion that the toxin, which is an active ingredient of common household insect sprays, had contaminated the Barbados sample. Importantly, the tiny amount of cypermethrin found in the sample was not enough to incapacitate a man of Woolmer's considerable size, and in any event, cypermethrin would be a very unusual and largely ineffective substance to use if you wanted to murder someone by poisoning. Apart from it making for a more compelling story, there were other reasons that the media and the general public might have been inclined to believe the murder story. Since the mid-1990s, cricket had been beset with, first, rumours and then confirmed instances of match-fixing involving the murky underworld of illegal gambling syndicates based in the Indian subcontinent. The highest-profile and perhaps still the most shocking of those involved former South Africa captain and national hero Hansie Cronje, who led South Africa at the same time that Woolmer was their coach. Since then, several players, including Pakistanis, were accused, sanctioned or convicted of fixing matches in part or full. Whenever something unusual happened - for example, Ireland beating Pakistan at the World Cup - there were always those who cried foul. 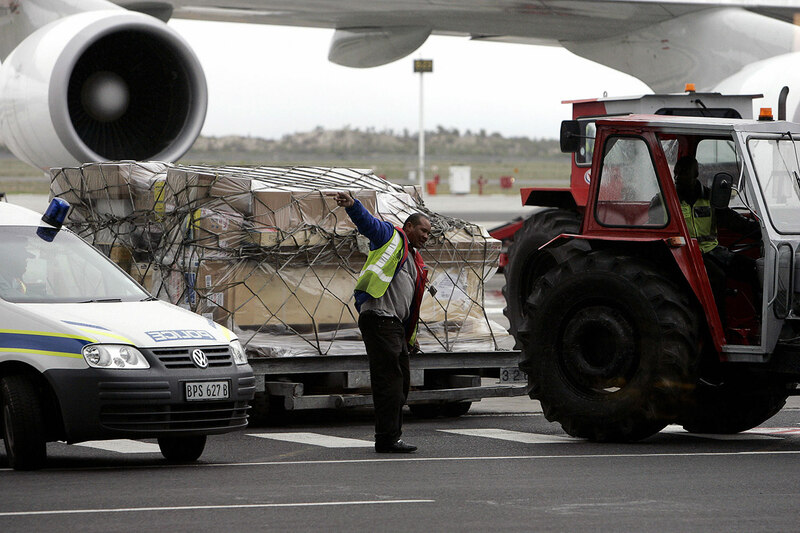 When Cronje died in a 2002 plane crash, despite no evidence existing to support a conspiracy, there were plenty of theorists ready to swear he was the victim of an underworld gang seeking to settle a score. 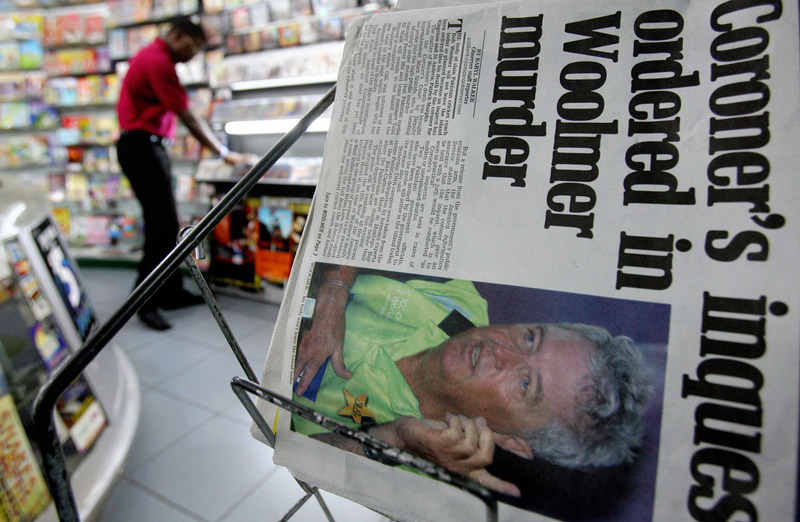 The Woolmer case was one of the global cricket media's darkest and most shameful hours. All sorts of irresponsible and unlikely theories were given oxygen in print, the most popular being that Woolmer was about to lift the lid on endemic corruption within the Pakistan cricket team at the time. Even respected former players and commentators, such as the South Africa allrounder Clive Rice and the former Australia captain Ian Chappell, couldn't resist calling foul without any supporting evidence. But even if you accepted that someone had a motive to kill Woolmer, no theory as to how he was murdered passed even the simplest of stress tests. Nothing suspicious was picked up by the various closed-circuit television cameras located on every floor of the hotel, nor by any of the 14 security guards on duty that night - the on-duty security supervisor's report concluded that "there were no irregularities, all was OK". 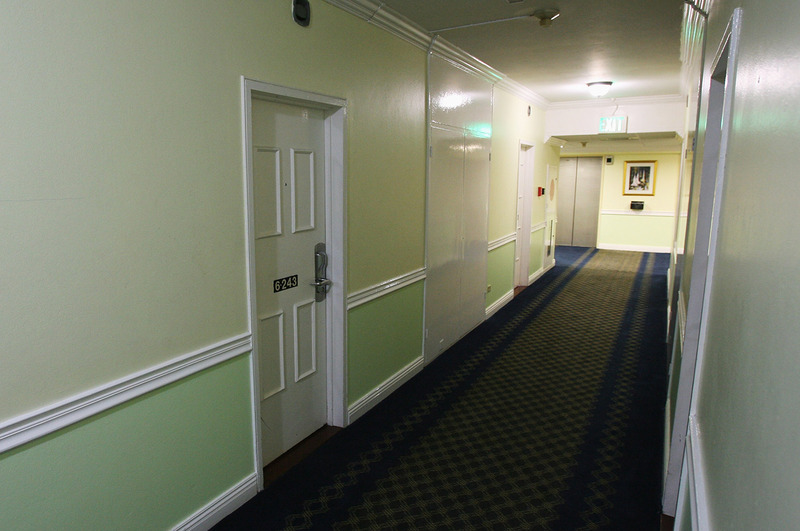 The records of the electronic latch showed that no one gained access to room 374 from the time Woolmer's dinner was delivered by room-service waitress Deirdre Harvey at 9.30pm on the night of the match, until the chambermaid, Robinson, came to clean up the following morning. Apart from a single overturned chair, there was no sign of a struggle, either in the room itself or on Woolmer's body. And the way his lifeless body was slumped against the door of the windowless bathroom would have meant a very tricky - if not impossible - escape for any would-be assailant. "In my experience of death due to manual strangulation, it is a very close, interpersonal struggle and bearing in mind the size and weight of the deceased, I would have expected a lot more evidence of a violent struggle in the room… Also, one would wonder how a suspect could flee the bathroom as the body was blocking the door." In the decade that has passed, her view has not changed. She told me in March: "At the very least it makes one question the quality of the forensic investigation of deaths or autopsies that were being done, and if the pathologist could miss something so fundamental, what else was missed in this, and in all the previous cases [he] dealt with?" The most likely cause of death - the only one for which there is a body of evidence - is natural causes, most likely related to Woolmer's heart. The inquest heard that he was not a well man. He was obese (a man of six feet should not weigh 113kg). He was on medication for type-two diabetes and he had been drinking the night before his body was found - never a great combination. It turned out he had an enlarged heart, a thickening of the left ventricle wall and a narrowing of a coronary artery, while scarring on heart tissue indicated that he had previously suffered a number of minor cardiac episodes. He had sleep apnoea and wore a device in bed so that he wouldn't stop breathing. He had allergies for which he was taking more medication (cetirizine dihydrochloride). Bertram Carr, the driver of the team bus, said that Woolmer coughed violently all the way from Sabina Park to the Pegasus Hotel after the Ireland game. And, with all that, Woolmer's was one of the most high-pressure coaching jobs in cricket, leading a group of gifted but notoriously mercurial sportsmen. He worked for a demanding board with passionate fans, for whom nothing less than victory was acceptable. When Pakistan were unceremoniously dumped out of the World Cup by Ireland in the group stage and he was about to lose his job, it is reasonable to conclude he was feeling a high level of stress. Strangely, though, all this evidence didn't stop the Director of Public Prosecutions (DPP) Kent Pantry from pushing for a murder verdict at the inquest. Despite it being a coroner's inquest, it seemed that Pantry, rather than the coroner, Patrick Murphy, was calling the shots. Rather than it being a hearing of an inquisitorial nature, Pantry appeared to favour the evidence of the discredited and underqualified Dr Seshaiah over that of the three foreign and independent experts. He suggested that Dr Pollanen was unduly influenced against Dr Seshaiah by reading Dr Cary's review of the case in advance. He accused Dr Cary of being "speculative", and he was downright rude and dismissive to Professor Martin as he tried to pick apart her report. It was a very strange hearing, held amid an edgy and at times aggressive atmosphere. At one tense moment during Martin's evidence, Pantry pointedly instructed the coroner Murphy to write down what he was asking her. Murphy apologised profusely to Pantry, put his head down and started scribbling. In her report to the inquest, Prof Martin wrote: "In my experience of death due to manual strangulation, it is a very close, interpersonal struggle"
Having been repeatedly interrupted by Pantry while giving evidence, a clearly frustrated Dr Cary blurted: "I swore to tell the whole truth and you're not letting me do that." To which Pantry replied: "You cannot come to Jamaica and do your own thing. You will answer the questions you are asked." Dr Cary recently told the BBC: "It was a fairly hostile inquest, which was disappointing, because my involvement and the involvement of other pathologists was to simply assist the Jamaican state with getting to the bottom of a difficult case. And in such circumstances, there is no room for loss of face. It was managed in some ways more like a criminal trial. To use the director of public prosecutions was unusual and he had an incredibly adversarial style which… was totally inappropriate." Reflecting on the inquest, Shields told me: "The degree of hostility in the coroner's court [for that case] was unprecedented. It was more of an inquisition… and it appeared to be an agenda to try to discredit professional witnesses that were brought in from abroad." Professor Martin told me: "It was very adversarial - like a murder trial as opposed to an inquest." In a note she kept at the time, she wrote: "So I was called to present my opinion, the last of the three international pathologists to do so… it was the most hostile, uncomfortable court that I have ever had to testify in. I had two Jamaican police officers (VIP unit) with me at all times, was told not to venture out of my hotel and did not go anywhere except from the hotel to the court… It was not fun, and testifying was very frustrating." It wasn't just the foreign experts who felt like they were being cross-examined by Pantry. Members of the JCF were also made to feel uncomfortable on the stand. Shields continued: "Me and some of the other police officers were almost like suspects as opposed to people presenting evidence from the investigation. 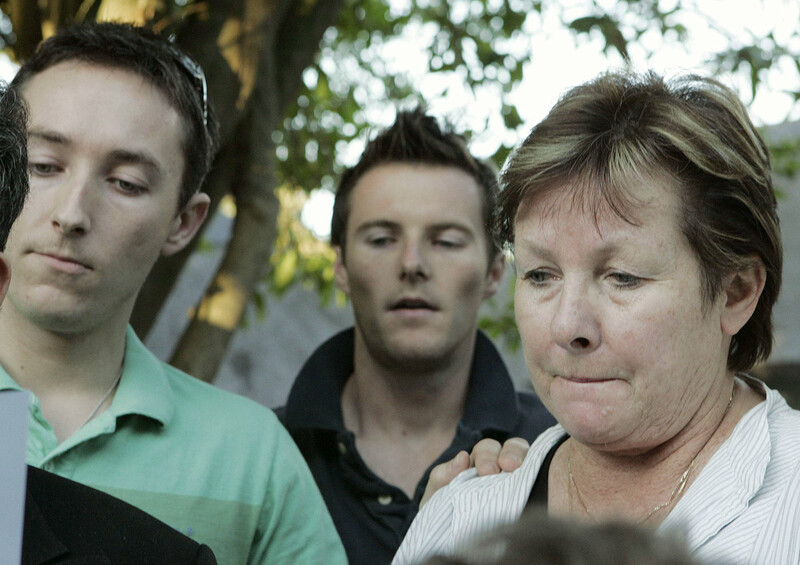 It was certainly an unprecedented approach to marshalling evidence at a coroner's inquest. It was completely unheard of." For much of the inquest, it was left to another lawyer, Jermaine Spence, acting on behalf of the ICC, to marshal the evidence so that the jury could hear more fully how the foreign pathologists viewed the case. Pantry himself has a different take on it. A decade on from the Woolmer saga, he hasn't tempered his bullish tone, and defends the manner in which he questioned the foreign pathologists. Referring to himself in a mix of the third and the first person, he told me by email this April: "Persons who are aware of Mr Pantry's more than 40 years of practice in the field of law would attest to the fact that he does not give anyone a 'free ride'. "In our system of law, all witnesses called to give evidence are questioned to determine if they can assist the Coroner or the jury in the inquest. Where experts, such as forensic pathologists, give evidence they are tested as to their education, training, experience and skill… It is quite normal for expert witnesses to disagree with each other in court proceedings, and so the tribunal of fact must determine the value of each witness's evidence." He contended that "a Coroner's Inquest is not a 'prosecution' so I do not understand how it could have appeared that I was 'prosecuting'" and suggested that I "carefully examine the Coroners Act before arriving at an uninformed opinion. The fact that others share that opinion does not make it correct." Since the inquest was public, he concluded, "the world at large would have been free to consider the competence or otherwise of Dr Seshaiah or any other witness". So why did the DPP act as he did? Pantry says it's just how he rolls and it is entirely appropriate. Shields has his own theory. "The consequences of finding that the verdict was natural causes - and clearly we had established that - would have caused embarrassment to elements of the Jamaican justice system, particularly around pathology and the ability of the pathologist to do his job. It would have called into question every other investigation he had been involved in and may have opened a Pandora's box for the re-investigation of older cases and the potential for appeals for many cases as well. I think that would be the motivation behind it. That is my opinion and can be the only opinion because inquests don't happen like that. I never experienced that before in my career." It is an opinion shared by Martin. She said: "Given the bigger picture of things, I'm not surprised [at how adversarial it was]. If this particular inquest found that the state pathologist had made such a fundamental error in the case, then that would have opened up all previous convictions or decisions regarding his cases, and would have meant everyone in custody on the basis of his pathology would have had grounds for appeal." When the views of Shields and Martin were put to Pantry he said those opinions meant nothing to him and were mere speculation. After hearing from 57 witnesses (and a further 12 via statement) during the six-week inquest, the jury of six women and five men didn't know what to think of it all and returned an open verdict. The result did nothing to shut down the conspiracies or give closure to a fascinating and frustrating case. The sorry handling of the matter not only raised questions about the Jamaican authorities but caused distress for the Woolmer family and also the Pakistan team, who, having just lost their much-admired coach in tragic circumstances, were considered suspects in the murder investigation. "First it was shock. Then horror at the fact that he was murdered. Now we feel ashamed at the gross incompetence on the part of our guys," Jamaican political commentator Kevin O'Brien Chang was quoted saying by Reuters, adding that it was "a real comedy of errors. You couldn't get any more errors than that. It's a bunch of clowns." In the ten years since Woolmer died, plenty has changed. Dr Seshaiah is no longer Jamaica's state pathologist and attempts to contact him for this article proved unsuccessful. Meanwhile, with the help of Dr Pollanen, the Ontario expert, whom authorities in Kingston had done their best to discredit, the quality of forensic pathology in Jamaica is improving. Dr Pollanen said he had not been surprised that Dr Seshaiah had made so many errors: "The state of forensic pathology in Jamaica at the time was poorly developed. It is changing now. We have trained one forensic pathologist for Jamaica in my department ‎in Canada and we are currently training two others. We plan on continuing, too." Pantry retired in 2008 after ten years as DPP and is now working in academia. He still defends the role of Dr Seshaiah, pointing out to me that "there was no finding by the coroner that Dr Seshaiah or the police made any mistakes, and I am not aware of any fallout or any official review of the coroner's inquest into the death of Bob Woolmer". Shields left the force in September 2009 after more than 30 years as a policeman but remained in Jamaica to set up a private crime and security consultancy firm. While the JCF's investigation in this case was reviewed, no investigation was ever carried out into the behaviour of Pantry or the Department of Public Prosecutions. 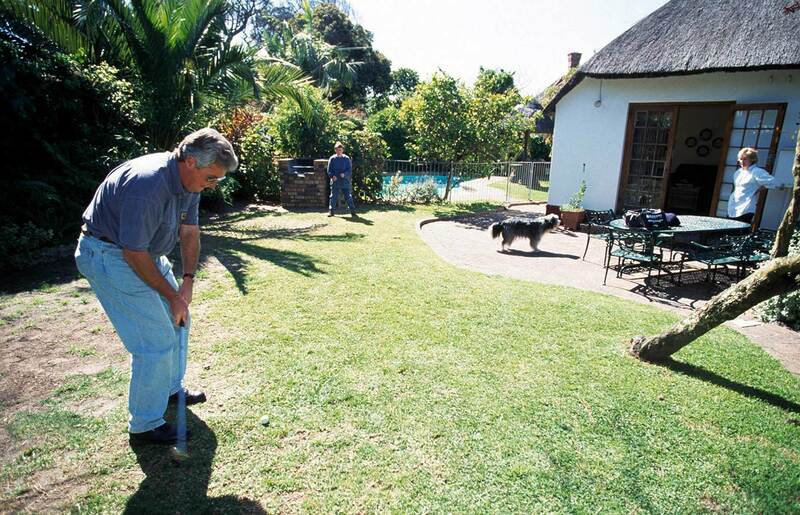 Meanwhile, in Cape Town, a widow continues to live without her beloved husband. Despite the conspiracy theories, as far as the Woolmer family is concerned, it was a case of death by natural causes, as simple and as tragic as that is. "We don't have any questions," Dale Woolmer, Bob's London-based son, told the BBC recently. "I'm absolutely sure that it was heart disease, because of type-two diabetes. There's no reason for us as a family to think anything else." In truth, there is no reason for anyone else to think it either.